Just in time for summer trips, Nordstrom's half-yearly sale is in full swing! The sale started yesterday and I was perusing the website for finds. 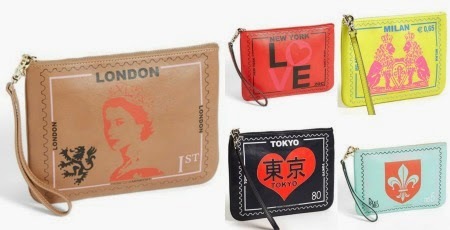 I love these Rebecca Minkoff travel pouches featuring swoon-worthy destinations Milan, New York, Tokyo, London, & Paris. The size is perfect for a city, beach, or country destination to store money, ID, lipstick, and other small necessities. I think London is my fave, you? Happy summer shopping (and traveling)! oooh, the Tokyo one is really fun!